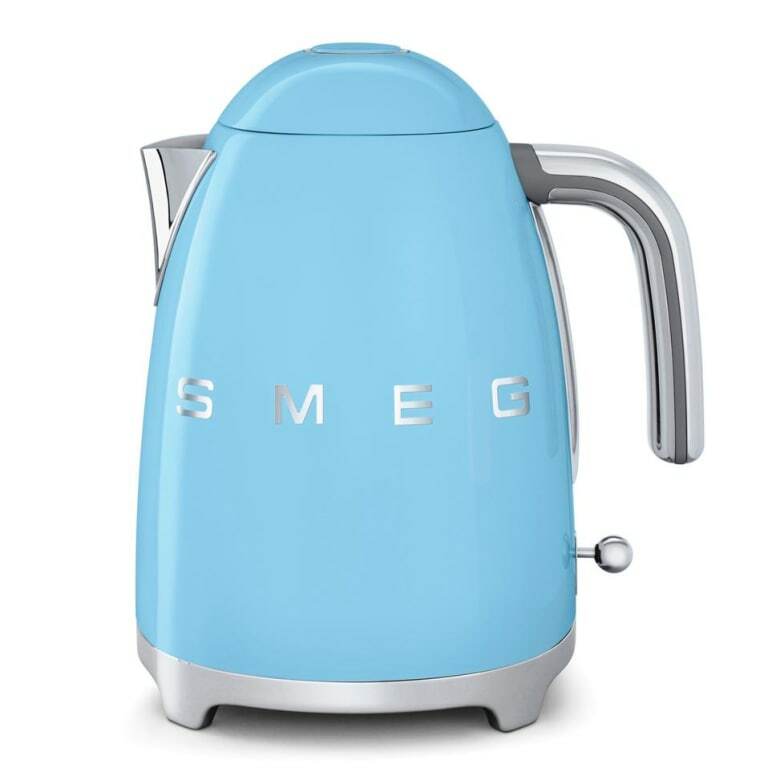 Electric kettle in 50's design, matching the iconic Smeg kitchen appliances of the 50' retro style collection. Thanks to their round shapes and the vibrant colours of the 1950s, the new SMEG fixed temperature water kettles (100° Celsius) set a strong accent in every kitchen and use the latest technology to heat water extremely efficiently.The new SMEG kettles with a fixed temperature (100° Celsius) can heat up to 1.7 litres of water to 100° Celsius in the shortest possible time thanks to a capacity of 2,400 watts and wireless 360° operation. In addition, the SMEG water kettles (100° Celsius) are equipped with a jug closure that opens the can lid at the push of a button, a double filling level indicator in litre and number of cups, a removable anti-limestone filter and switch off automatically when the water level reaches 100° Celsius or when the water level is too low. Do you have a question about "KLF03"? How can we contact you?